1.) Tax reform makes QCDs more valuable than ever in 2018. 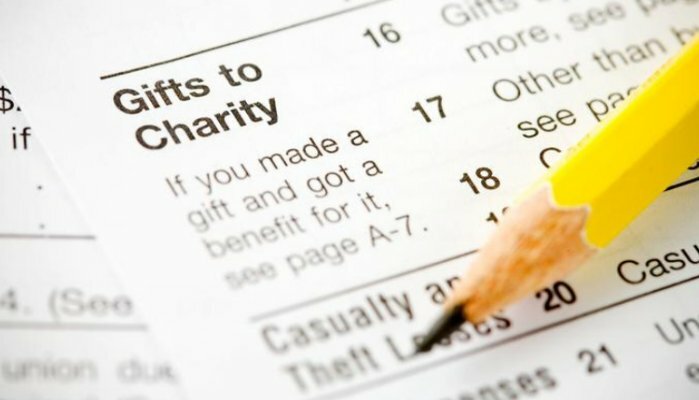 You may be one of the many taxpayers now taking the standard deduction, which eliminates your tax deduction for charitable gifts because you will not be itemizing. A QCD is a way to remedy this situation by giving you a tax break for your 2018 charitable contributions. 2.) A QCD can add to the standard deduction. It allows the donations you made from your IRA to charity to be excluded from your income, lowering your AGI. 3.) You can do a QCD if you are an IRA owner or beneficiary and you are 70 ½ years old or older. 4.) Your QCD must be done as a direct transfer from the IRA to the charity. If a distribution is paid to you, you cannot give the funds to the charity. However, a check made payable to the charity that is mailed to you and delivered by you to the charity will work as a QCD. 6.) The per-year limit is $100,000 per person. If you are married, and you and your spouse both qualify, you can each do a QCD of $100,000 annually. A tax deduction for the charitable contribution cannot also be taken. 7.) The amount transferred from your IRA to charity as a QCD counts toward your 2018 RMD. 8.) You can do a QCD from your IRA, Roth IRA or inactive SEP or SIMPLE IRA. QCDs are not available from any employer plans. 9.) QCDs apply only to taxable amounts in your IRA. This is an exception to the pro-rata rule that usually applies to traditional IRA distributions. Only taxable amounts in a Roth IRA will qualify, making QCDs from Roth IRAs rare. 10.) Alert your tax preparer that you are doing a QCD for 2018. The 2018 Form 1099-R that the IRA custodian will send to you will not have any information indicating that a QCD has been done for the year. That means that it could easily be missed by your tax preparer. Avoid this mistake by being sure your tax preparer is aware of the transaction. Please also remember that Donor Advised Funds (DAF’s) are another giving vehicle that provide important tax advantages. Their use for this current 2018 tax year will also end on December 31. With tax deductions now more difficult to claim, DAF’s are an important work around and a way to benefit yourself and Grace Church!